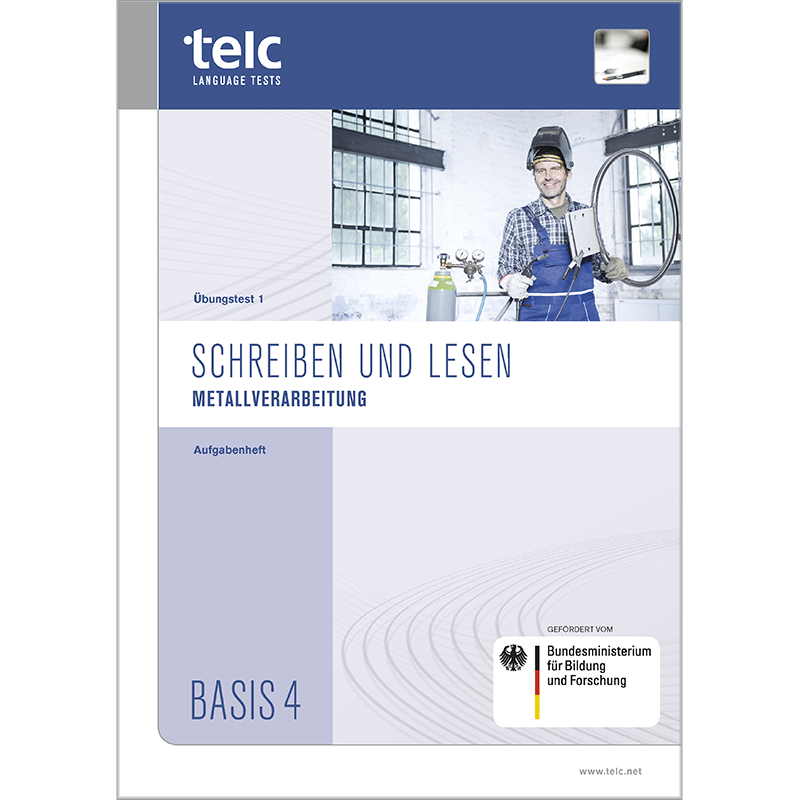 This mock examination allows you to simulate the telc Schreiben und Lesen Basis 4 Metallverarbeitung exam under realistic test-taking conditions. It also includes information on the test procedure, the type of tasks that can be expected to appear on the real exam, and assessment criteria. In order to conduct the mock examination, it is necessary to purchase a copy of the examiner’s booklet (sold separately). Whether exam candidate, teacher or examiner, the mock examination will help you understand all aspects of the telc Schreiben und Lesen Basis 4 Metallverarbeitung exam. Included in the booklet are information on the test procedure and a complete mock examination with answer key. Lower level interim tests are ideally suited to introduce your students to the test situation and to gradually strengthen their proficiency to the level they will eventually encounter on the real exam (lea.-Diagnostik, Alpha-Level 4).